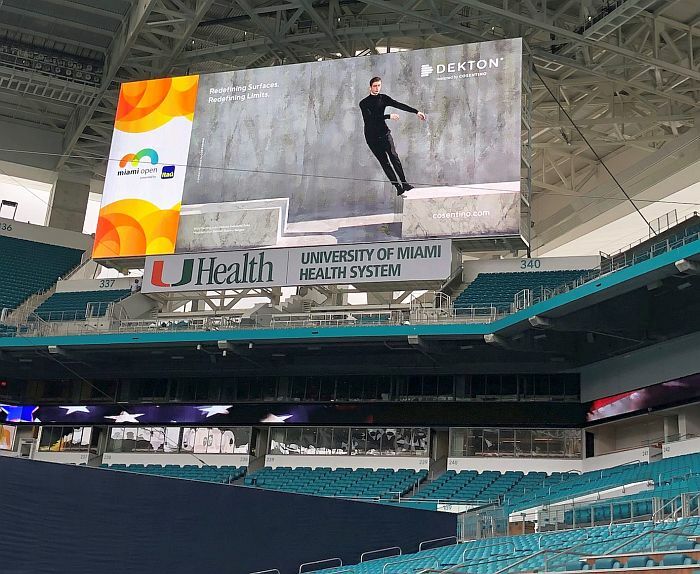 Dekton by Cosentino is the Gold sponsor of the 2019 Miami Open presented by Itaú, that is being held at Hard Rock Stadium in Miami Gardens. 21.03.2019 This year’s tournament is held at the Hard Rock Stadium in Miami Gardens, which just underwent a $550 million renovation to create a world-class sports venue for the best tennis players around the globe. The Miami Open has become a celebrated tradition for Cosentino, says Massimo Ballucchi, Marketing Director of Cosentino North America. We made Miami our home two years ago, and it’s an honor to support the events like this one that give the city its global vibrancy. As a Gold Sponsor, Cosentino is a key touchpoint for the Open’s 300,000+ attendees — from court-level signage to on-site installations across the stadium, as well as video boards that bring the unlimited applications of the ultra-compact material to life. Dekton by Cosentino appears alongside a number of fellow best-in-class brands, including Rolex, Lacoste, Emirates and Moet & Chandon, among others. The sponsorship of the Miami Open celebrates the Spanish brand’s commitment to the Florida community, and connects with its longstanding passion for the sport. Tennis star Rafael Nadal served as the Dekon brand ambassador from 2014 to 2018, and his Rafa Nadal Academy by Movistar, a world-class training facility sponsored by Cosentino in his hometown of Manacor, Spain, embodies the myriad uses for the material. 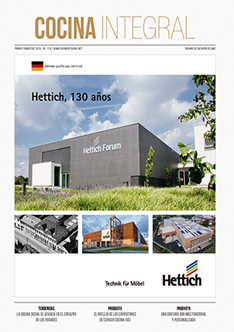 It boasts more than 430,000 square feet inside and out of Dekton, manufactured at Cosentino’s global headquarters and manufacturing facilities in Almeria, Spain.